This book brings together a variety of perspectives on the study of childhood: how this has been treated historically and how such a concept is developing as we move into a new century. The nature of childhood, the consideration of whether a certain age denotes innocence or not, and the desire to teach good citizenship to our children are all issues commonly discussed by today's media. 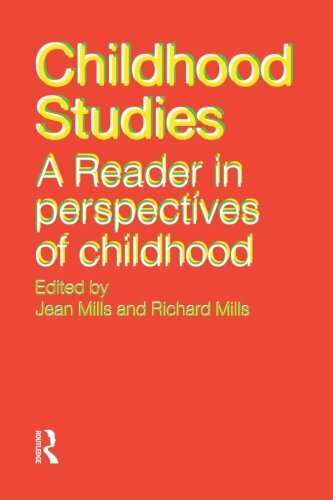 This book brings together a variety of perspectives on the study of childhood: how this has been treated historically and how such a concept is developing as we move into the next century. The book is divided into five main sections: * part one sets the scene and provides the reader with an overview of attitudes towards childhood. * part two surveys the contribution of literature from the nineteenth and twentieth centuries * part three examines educational issues such as childrens' play, language acquisition and spiritual development * part four looks at the representation of children in film, television and other mass media * part five offers further help for study and research This book draws on a number of academic disciplines including education, literature, theology, language studies and history. It will be of particular use to those on Childhood studies courses and all those studying for a teacher qualification. Teachers of children aged between 4-12 years old will find its contribution to their continuing professional development extremely helpful.